The Brine Octopus is a unique species from the Great Salt Lake here in Utah. I am sending him to my friend KnitSonya, in thanks for her hospitality over the Christmas break. This young male is a rare specimen for her Cabinet of Curiosities! 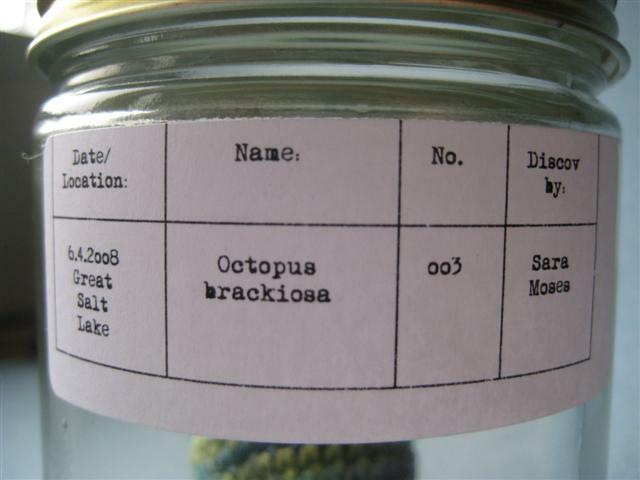 Brine Octopus’ head is about the size of a walnut. 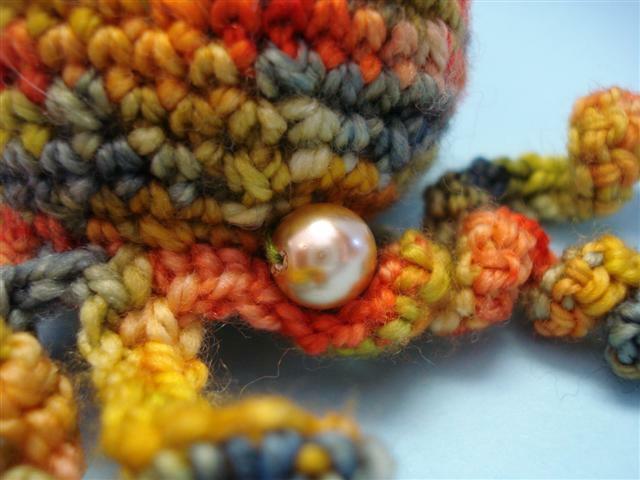 I used some Scottish Campion yarn (now discontinued) that has been in my stash for nigh on 8 years! 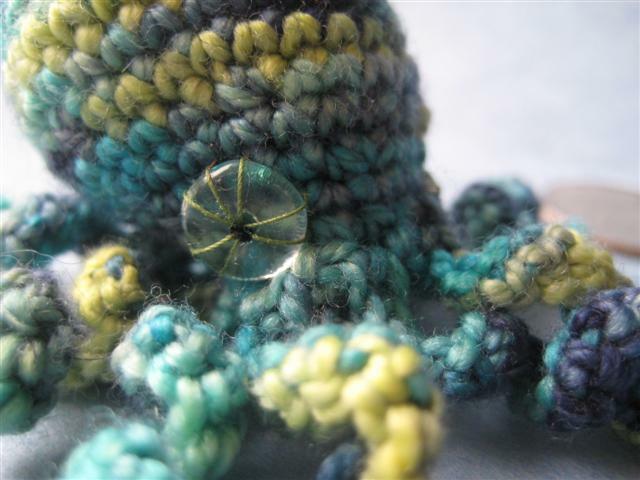 I used a small (now lost) crochet hook, same one that created Hungry Octopus. 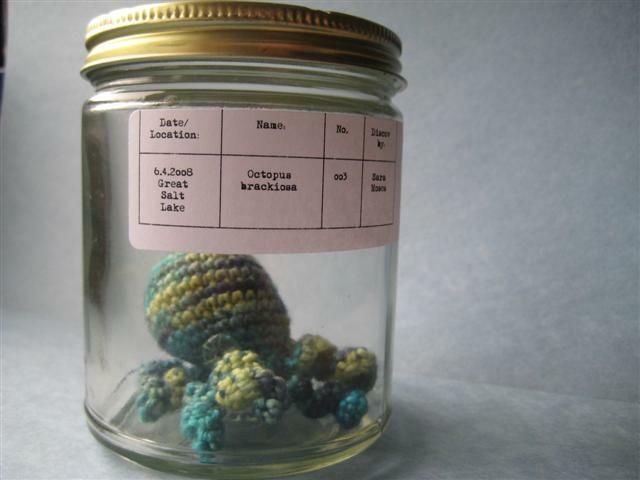 I’ve been a knitter for years; I used to teach beginners classes and private lessons at ImagiKnit when I lived in San Francisco. I’ve never gotten into crochet, prefering the look of knitted clothes. 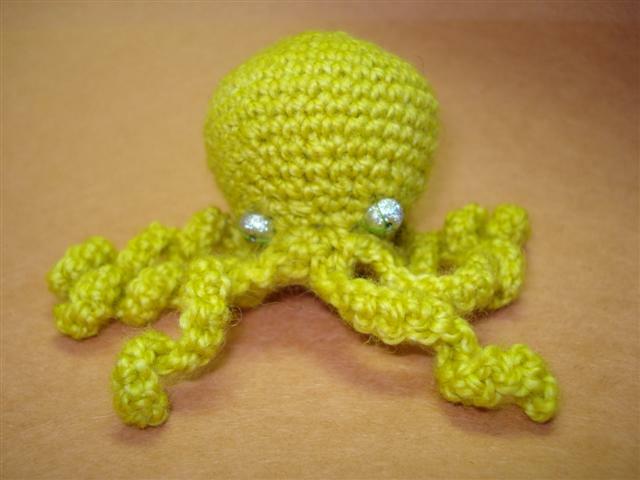 Just last month I started looking at arigurumi creatures and patterns online–finally a reason to crochet! I got lots of inspiration from Roman Sock and made a few of her sweet owlets. 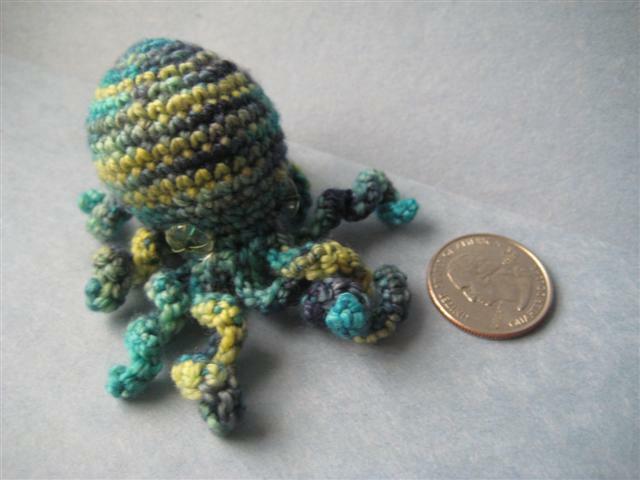 This Octopus is my own first design. 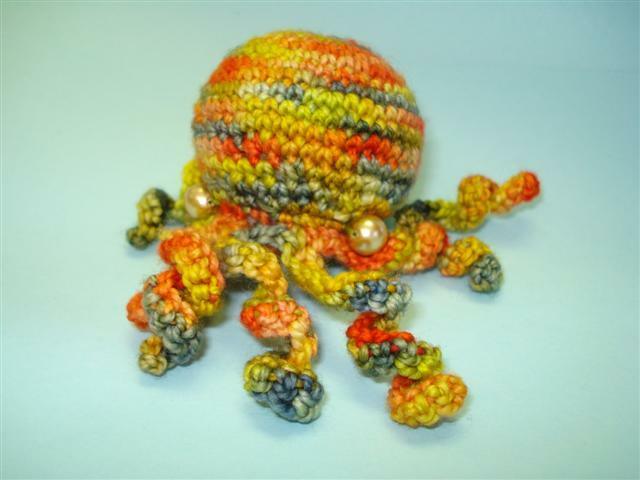 He is made of Koigu yarn, with a fairly small hook, though I lost the hook so can’t say for certain. This is his girlfriend.